Where are you putting your speakers? › Where are you putting your speakers? Lets see some pics and ideas of where to mount speakers. subs and amps. 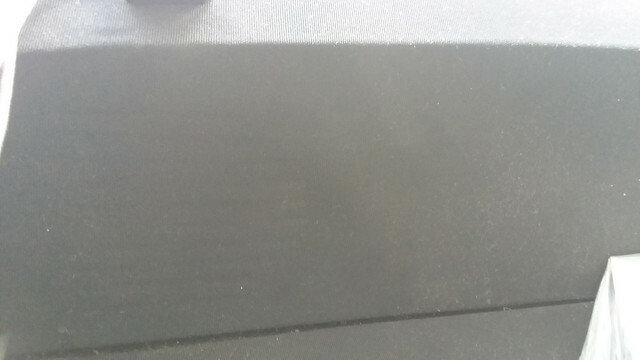 Bought her with this tear in the headliner. I don't think I want to replace it until I have a need to pull the windshield and the rear window. 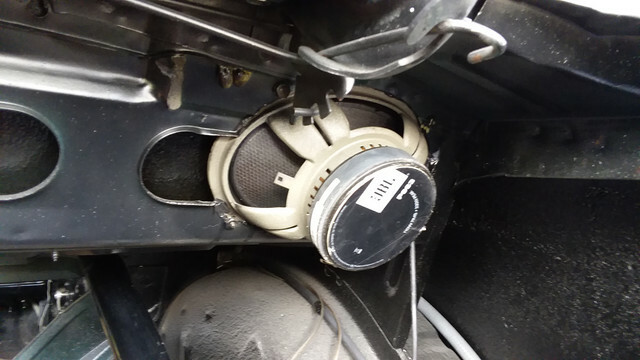 I was thinking of making speaker boxes that would cover the hole. I am open to other ideas though. I have a set of 4x6's in the doors, a set of 6x9s in the package tray - both sets by Retrosound and sound great (used some spacers on the 6x9s though, so I didn't have to cut the sheet metal - my poor car had been through enough of that at that point - ). I also have a pair of MTX Terminator 10" subs and an MTX Sledgehammer amp that will be going under the package tray in a custom box with the amp mounted in between, firing into the seatback - possibly sealed-boxes, ported, or maybe a 3-chamber single-reflex bandpass-style box - I need to find out what best suits the subs before I go cuttin' any MDF. I'm thinking that since the MTX Thunderbox in my truck has a pair of relatively small sealed boxes, that should be just fine. They're not Solobarics, though, so they'll probably take up a good chunk of the space under the package tray (non fold-down seat, of course) - I guess I'll be packin' 'em full of insulation, too. Now if we could see some Convertibles with rear speakers/amps, that'd be awesome! Radio??? Who needs a radio!! Actually, someday I might install one but for now I just listen to the motor rumble. Never had a radio in it for 15 years now. 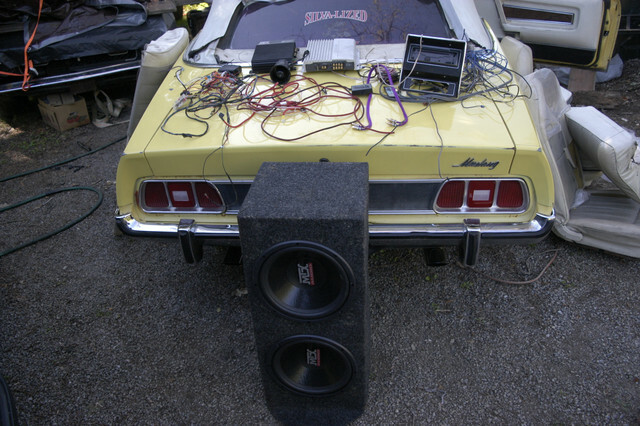 LOL, I took the two amps and pioneer system out and the boom box out of the trunk also. I put stock AM/FM back and the door speakers. I never listen to radio when in the Mustang. Took the burglar alarm off and also the radar detector. He had hacked the wiring to death. I replace the entire harness. 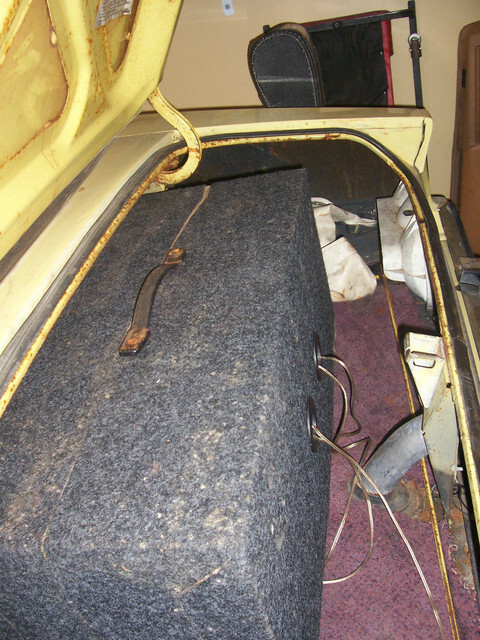 The wet carpet in the trunk caused all kinds of surface rust. Now in the garage I listen to the tunes. Can play 8 track, vinyl, CD, DVD, laser disc. Have lots of 70's music. 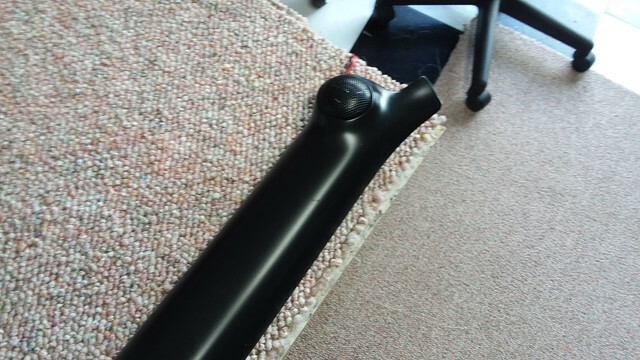 (04-10-2019, 12:31 PM)Mister 4x4 Wrote: I have a set of 4x6's in the doors, a set of 6x9s in the package tray - both sets by Retrosound and sound great (used some spacers on the 6x9s though, so I didn't have to cut the sheet metal - my poor car had been through enough of that at that point - ). I also have a pair of MTX Terminator 10" subs and an MTX Sledgehammer amp that will be going under the package tray in a custom box with the amp mounted in between, firing into the seatback - possibly sealed-boxes, ported, or maybe a 3-chamber single-reflex bandpass-style box - I need to find out what best suits the subs before I go cuttin' any MDF. OK, so I actually had a few minutes to look a few things up shortly after I'd posted this. I determined that sealed boxes with .75 cubic feet of enclosure each will work perfectly for the MTX subs I have - that's not all that big at all. I also found an enclosure calculator and determined that I should be able to build a box that will tuck up under the package tray against the seatback, not come anywhere close to protruding into the trunk, and fit both subs along with a space in the middle for the amp to have plenty of airspace. Shouldn't need to be all that heavy, either, since the enclosures are so small I could probably get away with 1/2" or maybe 9/16" MDF. Now, I just need to find the time to make this happen. I put them in the trunk: wife and MIL. Gawd, do they like to speak when I'm driving! (04-11-2019, 05:20 AM)NOT A T5 Wrote: Now if could see some Convertibles with rear speakers/amps, that'd be awesome!